The other day, Patrick, a customer/friend of ours for a long time, asked me how much salt there was in our salted capers. Patrick is always very thorough and asks lots of questions. In this case, I thought he was joking. I replied that I had no idea, the label on the jar doesn’t say anything, it only mentions the ingredients: capers and salt (I would have added, sunshine). I replied there must be as much salt as Gianni, the producer, thinks is best to conserve the capers. I didn’t have much time, I needed to go, but he was relentless and became unfriendly. He said consumers need to know what is the salt content of every product. (But why, don’t you rinse the capers, before you use them? And how many capers could you eat, that their salt could cause a heart attack?). All the other merchants had replied to him (shame on me, who didn’t know! ), saying the salt content in their capers was between 10 and 20%. I was so impressed by how much people know… Still, I had to go. Then, Patrick threatens me and says that if I didn’t give him the information, he would report us to the FDA. I was not worried about the FDA (in fact, we had been importing these same capers for ten years without any problems), I was worried he was really getting upset. 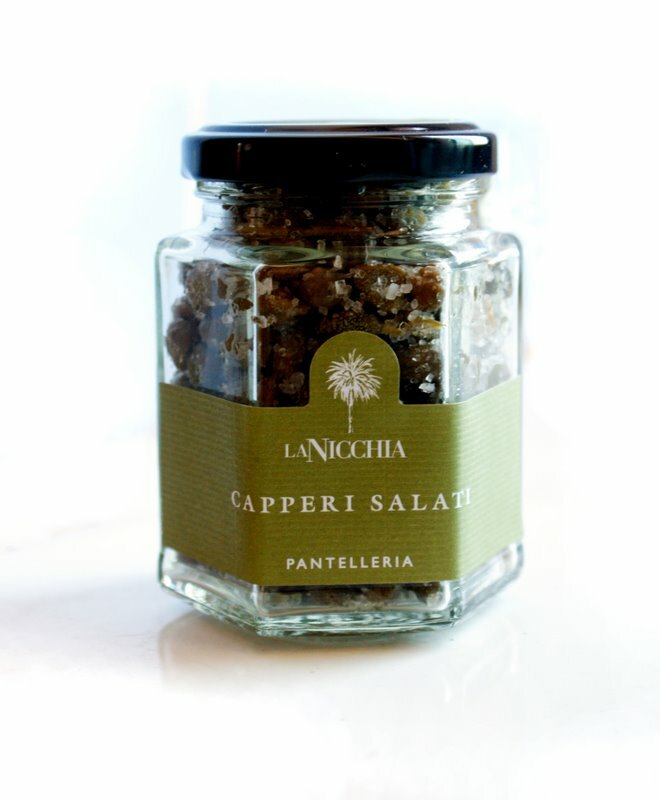 So I emailed Gianni Busetta, the man in Pantelleria who grows, picks and salts the capers. He replied immediately and didn’t think it was stupid question. He said his capers are IGP (Indicazione di Origine Protetta) and that, by law, the salt content has to be 25%. Moral of the story: I apologize to Patrick for not knowing the answer but I am also very happy to find out that only Gustiamo carries the authentic IGP Pantelleria capers. Thank you Patrick! Previous Post I Made It! Edible Bread, Finally. Thank You Mark Bittman. Next Post Whole Fish in Crosta di Sale – A Recipe Anybody Can Do.